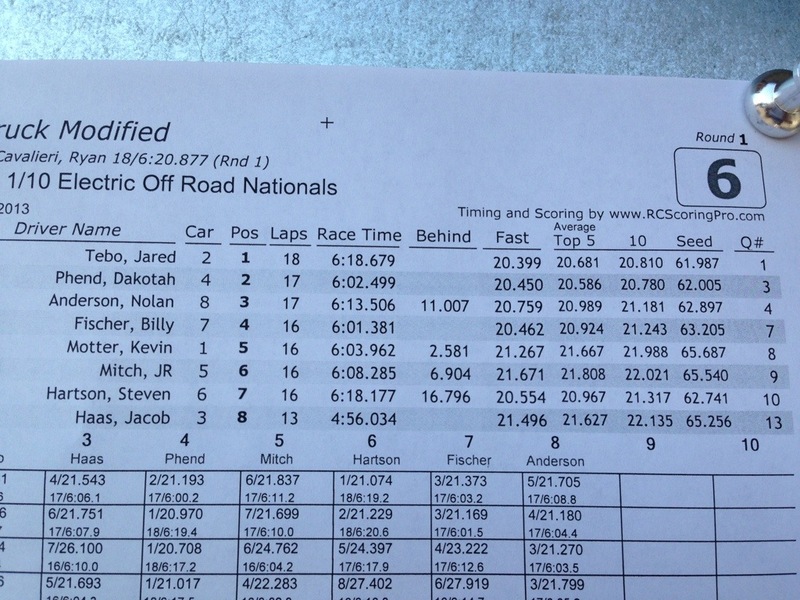 Got 1 round of seeded practice down. The track is really good today, the weather is, it’s all good. Truck was first. Felt good, and I had a really clean 6 minute run. I was able to throw some fast laps down too. 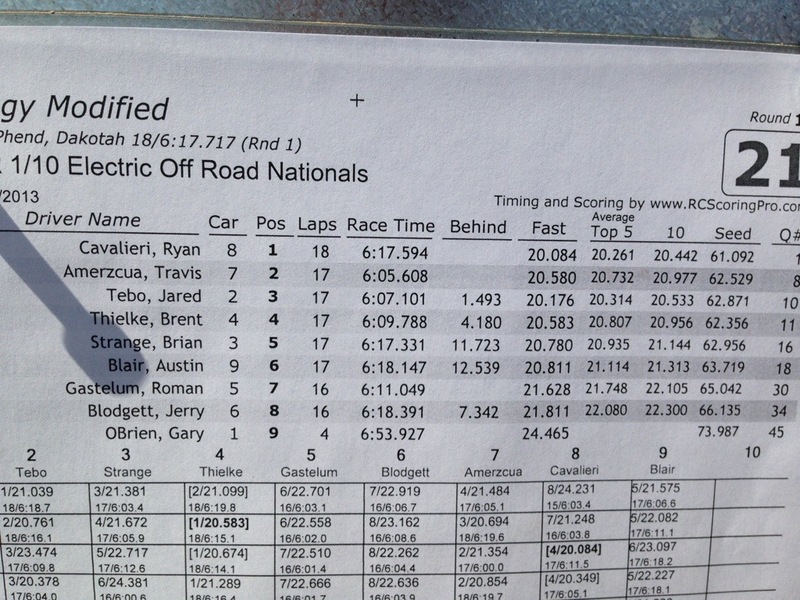 I got the fastest seed time in P1. 4wd was next and it went good too. Car felt really good and smooth. I had a clean run, couple bobbles, but no marshals. 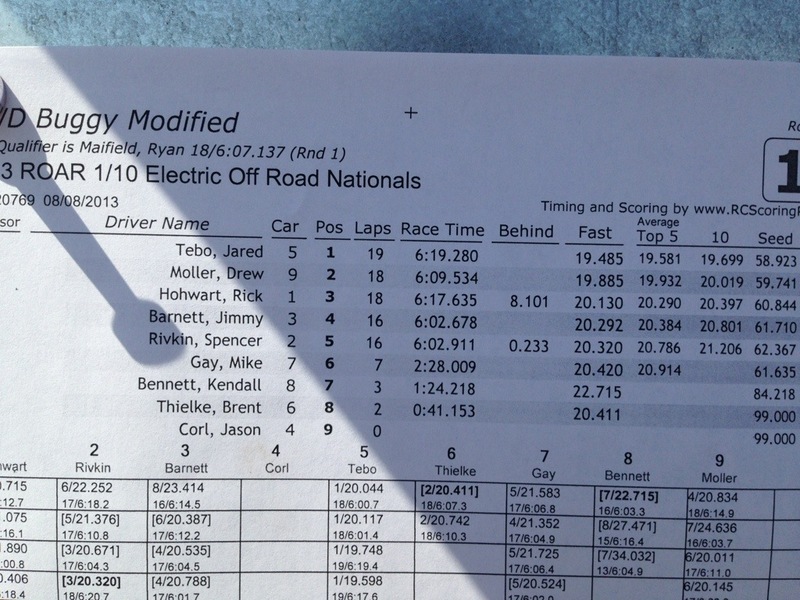 3rd fastest seed time. Gonna make a little change for P2.